Premiere has relationships with many lawyers in Ventura. Lawyers care about who their clients use for a bail bond company that is why they refer their clients to Premiere over other companies. At Premiere, we offer a bail by phone and fax way of writing bail bonds. This means you may never need to leave your home or office to post bail for someone. You might even be able to download the forms you need fill them out sign them and fax them to us at your convenience. This helps to expedite the bail bond and release process. For assistance in Ventura, call 1-800-662-0056. An friendly bail agent will assist you with all of your bail bond questions. We are a Ventura based bail bond company that underwrites: Bail Bonds, Appeal Bonds, 1275 Hearings, Federal Bonds, Immigration Bonds, Surety Bonds, and many other types of bonds and services. We provide service for inmates in custody at the Ventura County Jail, East Ventura County Jail, The Honor Farm, Todd Road Jail Facility, Fillmore, Oxnard and all other cities and areas listed below. Our agents in Ventura can provide you with the information and resources you need when considering posting a bail bond for a friend or family member. Obtain bail bond information, retain a bondsman, learn how bail works and have all your questions answered by a professional agent familiar with Ventura. 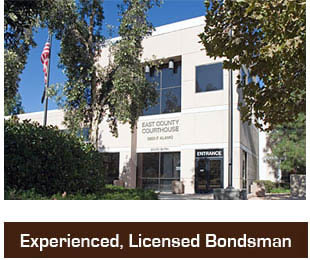 We are professional and dependable when it comes to posting bail bonds in Ventura – Call 1-800-662-0056.